This is another one of my go-to dinners for the whole family, including baby! When Ezra was younger this was a meal that I could quickly puree and give to him, and now he can eat the same meal as us. It is so easy, and yummy. I love the strong basil flavour this meal has. 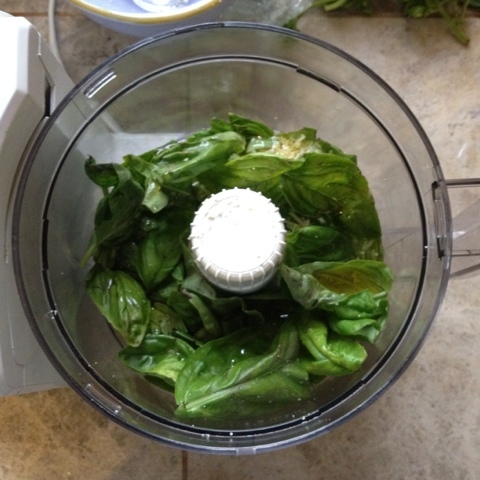 Basically you mix about 2 cups of Basil leaves, with a handful of Parmesan and about a half a cup of olive oil in a food processor until the basil leaves are chopped finely. You want it to have a paste like texture. 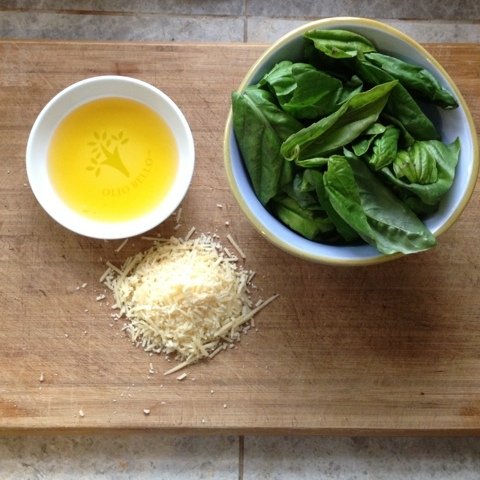 Add more olive oil if it is too dry. You then roughly chop all the vegetables, I add about a cup of each vegetable, but you can tailor it to your own size family. 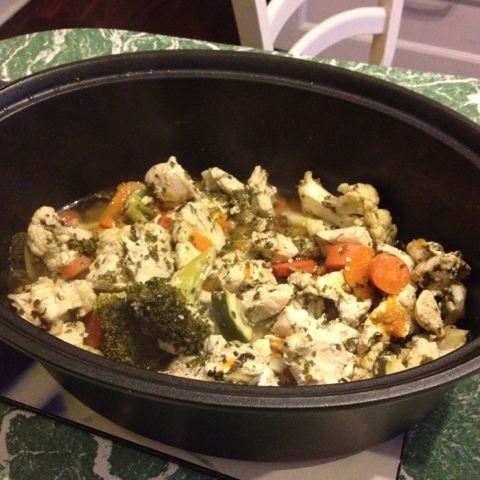 Cut the chicken breast into smaller pieces and add both the chicken and vegetables into a Slow Cooker or Casserole dish. 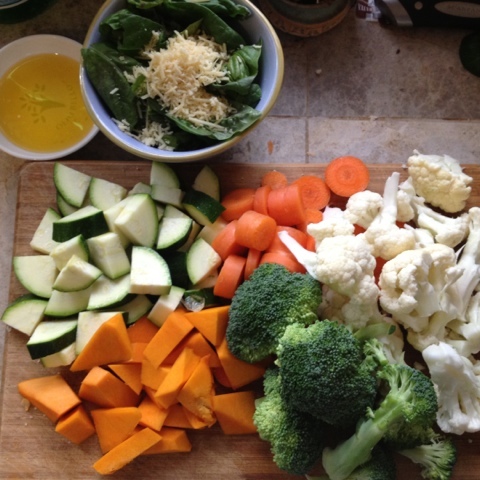 I listed the vegetables I use but you can add potatoes, sweet potato or any other vegetables you like. Drizzle the pesto mixture over the chicken and vegetables and stir in. Add a cup of water if you are cooking in a slow cooker. In my slow cooker I cover and leave it on high for about 3 hours and it comes out beautifully. In the oven, I cover and cook for about 45 mins at 180 degrees celsius (approx 350 fahrenheit). When the vegetables are soft and the chicken is cooked through then it is ready to go. It would also taste great served with couscous or quinoa. It is delicious, healthy and so, so easy.